MassDOT recently updated the community on the possible extension of the Green Line from College Ave to Mystic Valley Parkway (Route 16). Specifically, they walked everyone through a Notice of Project Change (NPC), which describes potential environmental impacts. View the slides to see this additional project’s scope and information on noise and vibration, land use, transportation, and more. Included in the scope of the Environmental Impact Study (EIS) should be the potential improvement to Mystic River water quality due to reduced auto trips/vehicle miles traveled, which translates into less tailpipe emission and fluid leaks falling to the streets and being carried into the river by stormwater. Since the GLX Phase I bid came in $239 million under budget and all budget inflation risk is supposed to be borne by the design-build contractor, the $157 million that last year was reprogrammed for GLX Phase I might be reprogrammed back to GLX Phase 2 (Route 16 Station) and the cities of Somerville and Cambridge might no longer be required to make their $50 million and $25 million contributions to GLX Phase 1. It’s official: Today the Fiscal and Management Control Board unanimously approved the recommendation to hire GLX Constructors to build the Green Line Extension! View the slides. Green Line builder selected – and the Community Path will be fully built! Construction of the Community Path “missing link” from Washington St to the North Point/Lechmere area! Thanks to all who have continued to fight for the Green Line and full Community Path! See some slides from the presentation. Next steps: The contract must be approved by theFiscal and Management Control Board and MassDOT board before it is official. 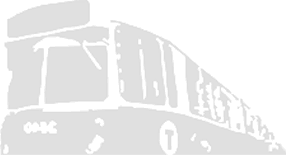 As part of a regional partnership with the Massachusetts Department of Transportation, and the Cities of Cambridge and Medford, the City of Somerville is seeking residents to serve on the Green Line Extension (GLX) Working Group. Major construction activities are expected to begin in early 2018, and the GLX Community Working Group will provide a collaborative forum for information exchange between the MBTA GLX Project Management Team and external stakeholders. The Working Group’s role will focus on community impacts from construction activities, and members will assist with planning and implementation of community meetings related to construction. Each city will select one community representative per GLX station neighborhood, as well as two at-large members. Somerville has five GLX stations within its borders, and will therefore appoint five members in addition to the two at-large members for the Working Group. Representatives will be appointed for one-year, renewable terms. The City of Somerville is seeking applicants with knowledge of or experience with GLX planning, community planning or advocacy, and/or construction management. Strong social networks in the neighborhood and multilingual capacity are important criteria for candidates. Interested individuals should submit a letter of intent by Friday, November 24, to transportation@somervillema.gov, or by mail to Transportation & Infrastructure Division, Somerville City Hall, 93 Highland Ave., Somerville, MA 02143.